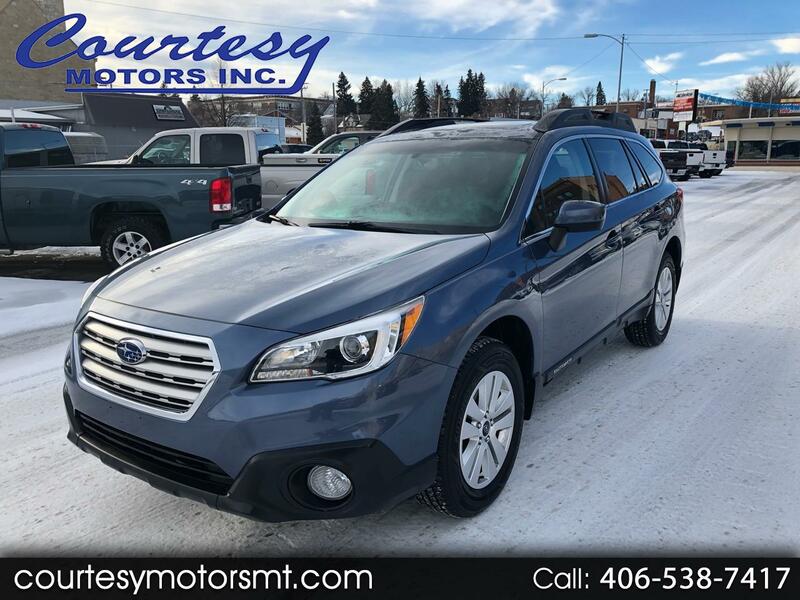 Used 2017 Subaru Outback 2.5i Premium for Sale in Lewistown MT 59457 Courtesy Motors Inc.
Clean, One-Owner Car Fax on this 2017 Subaru Outback 2.5i Premium! It's loaded with heated seats, Bluetooth, power driver seat, power liftgate, dual zone auto climate control, Sirius radio, head and side curtain airbags and more! Subaru's reliability, economy, and tried and true AWD system! Don't miss out on this 2017 Subaru Outback 2.5i Premium! Visit Courtesy Motors Inc. online at www.courtesymotorsmt.com to see more pictures of this vehicle or call us at (406) 538-7417 today with your questions/concerns and/or to schedule your test drive.